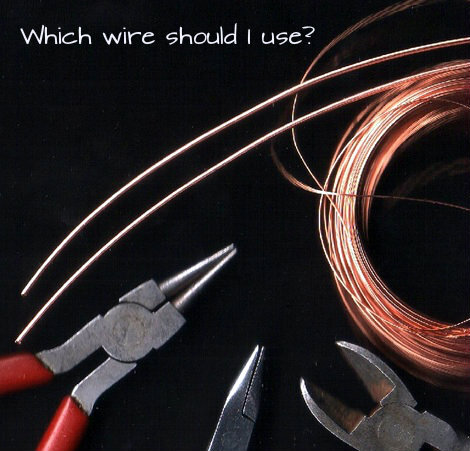 Selecting the right wire gauge can be annoying for a beginner. It's not a skill most people learn in school or on the job. 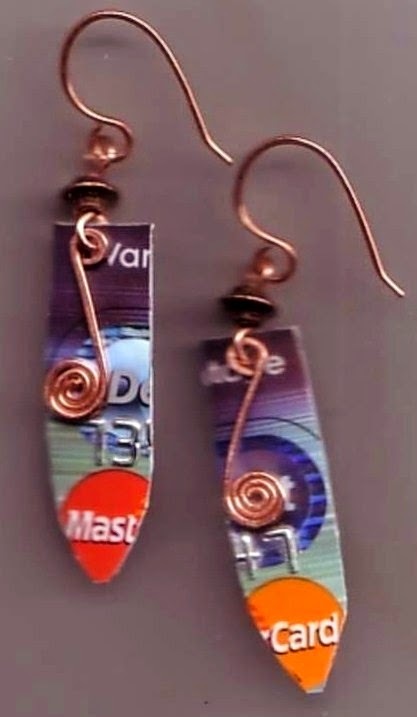 Most beginner wire jewelry makers are gauge novices, so don't let it bother you. 1. The bigger the number, the smaller the wire. The smaller the number, the bigger the wire. 2. If you can buy only one size wire to begin crafting jewelry, make it 20 gauge. It's sturdy and fits most bead holes except pearls. 3. If you're still confused about gauge, buy an inexpensive wire measuring device. 1- Hard wire is Less malleable (able to be manipulated), but it will keep its shape better than soft. 2- Dead Soft is more likely to do what you want it to do, but it doesn't hold its shape as well as hard. If you hammer wire it hardens (and flattens). If you flatten it too thin, it begins to weaken. 3- If you're still uncertain about wire, try half hard. It has some qualities of both hard and dead soft. 4- Copper wire is not usually labeled hard, soft or dead soft like sterling silver wire. You'll likely find that as you work with wire, you'll develop a favorite gauge and hardness. 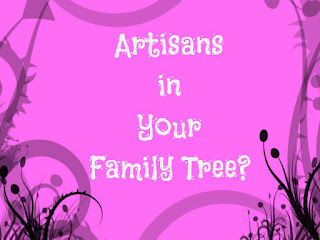 It will also vary depending on what you're creating. The best way to get to know your wire is to put in some time playing with it. Buy a lot of inexpensive wire. Sit down while you're watching TV or listening to music and bend it, twist it, experiment with it. But most of all, have fun.